There are numerous threats to the biodiversity of Komodo National Park including human population pressure, tourism, the introduction of exotic species and poaching. However, the most potent threat lies in the destructive fishing practices that take place in and around the Park. These practices destroy the coastal environment at great economic costs in terms of coastal protection, fisheries and tourism. Cyanide fishing in the Philippines. Same technique found among fishermen in Komodo. Cyanide solutions are used extensively to catch live reef fish for consumption and ornamental purposes. The concentrations of dissolved poison are not meant to kill but only to tranquilize the target fish, which facilitates their capture. The live food-fish trade concentrates on the catch of groupers and Napoleon wrasse. The aquarium fish trade concentrates on a much wider variety of species of colorful reef fishes. Live spiny lobsters, are also caught with cyanide. Cyanide fishing is done by divers, using “hookah” compressors and hoses to supply air. A diver on a “hookah” compressor-hose descends 10-40 meters until he spots a target fish. He chases the fish into a crevice in the reef and then squirts cyanide from a plastic bottle into the hole. As the fish begins to weaken, the diver breaks away the coral around the hole, reaches in, grabs the fish, and slowly escorts it to the surface. 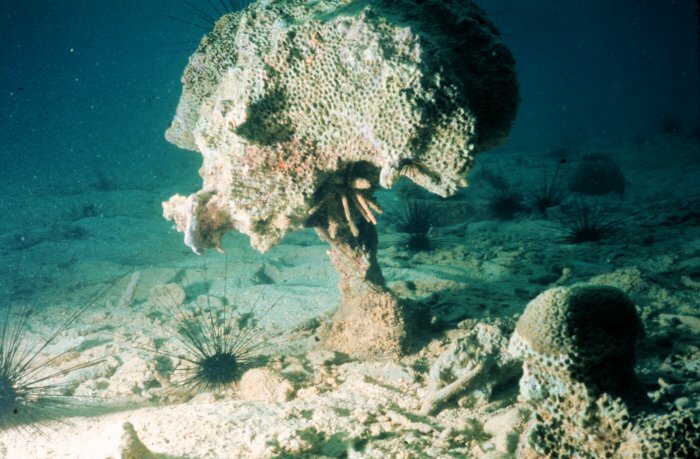 The cyanide fishery for aquarium fish destroys large areas of corals, which are broken down after an area has been sprayed with cyanide and the target fishes have fled in between the corals. The use of hookah compressors is a key factor in cyanide fishing practices. This entry was posted in Biodiversity, Coral Destruction, Eco Matters, Habitat Destruction and tagged Ecotourism, Habitat Destruction, Komodo Dragon, Komodo National Park, Sustainable Tourism. Bookmark the permalink.